Buying a wallet case for your phone lets you completely reconsider what you actually need to carry on a daily basis. 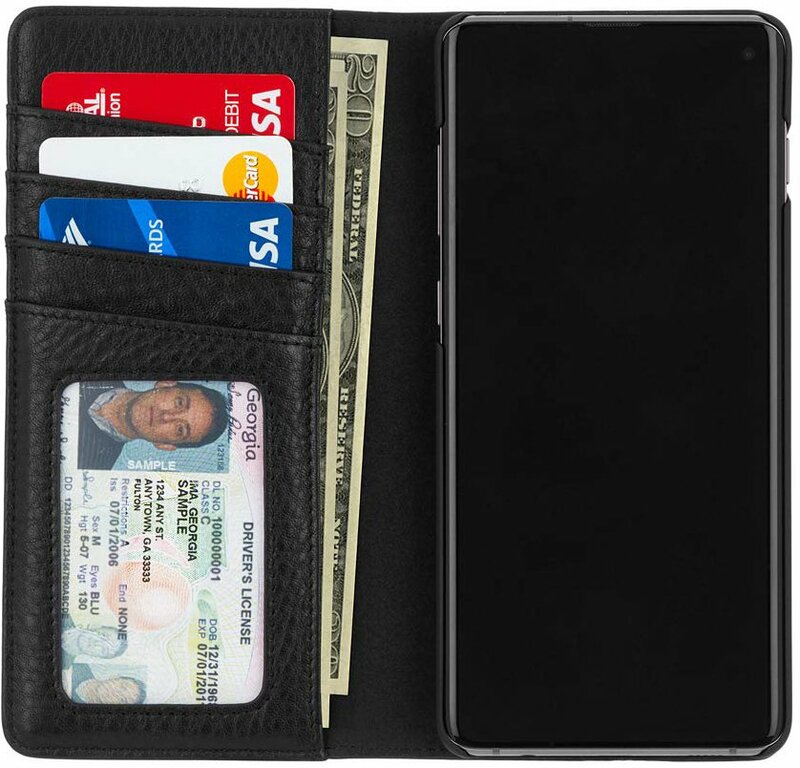 With a phone as capable as the Galaxy S10, pairing it with a wallet case means you really only need to carry your ID if you can otherwise rely on using Google Pay or Samsung Pay for most purchases. Picking the right wallet case will depend on your lifestyle and personal needs, but these are the best brands and styles you should consider. 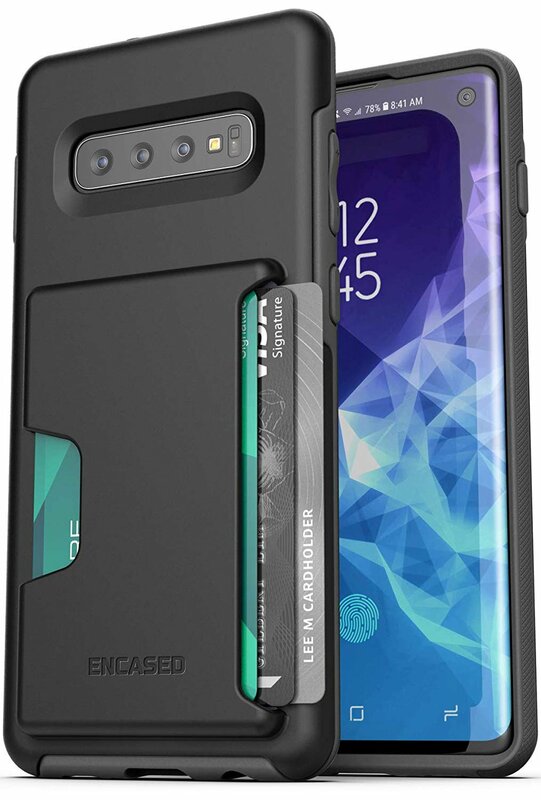 The Case-Mate is the case you want for your Galaxy S10 if you want to add a fully-featured wallet to your phone. You get four card slots (including a dedicated ID card slot) along with a cash pocket, and it’s all made from pebbled genuine leather. It also folds over into a stand for watching media, which is always handy. 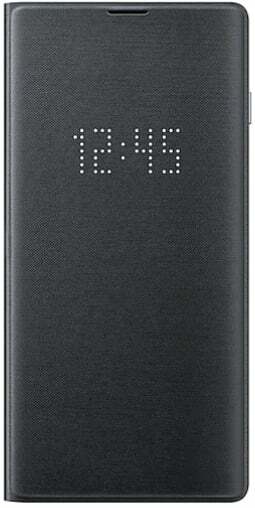 Samsung offers a multifunctional wallet case that features handy LED notifications on the screen cover and a card slot on the inside. Your Galaxy S10 is held in place and protected by a slim shell casing while the exterior has a fabric finish that looks and feels great. It’s a premium case designed for a premium phone. Wallet cases are always a great choice, but especially when they’re made with care using genuine leather buy a brand like Snakehive. You’ll feel the difference when you invest in a premium case for your S10 versus settling for a cheaper option. You can also get the case in colors to match or complement the color of your new phone. 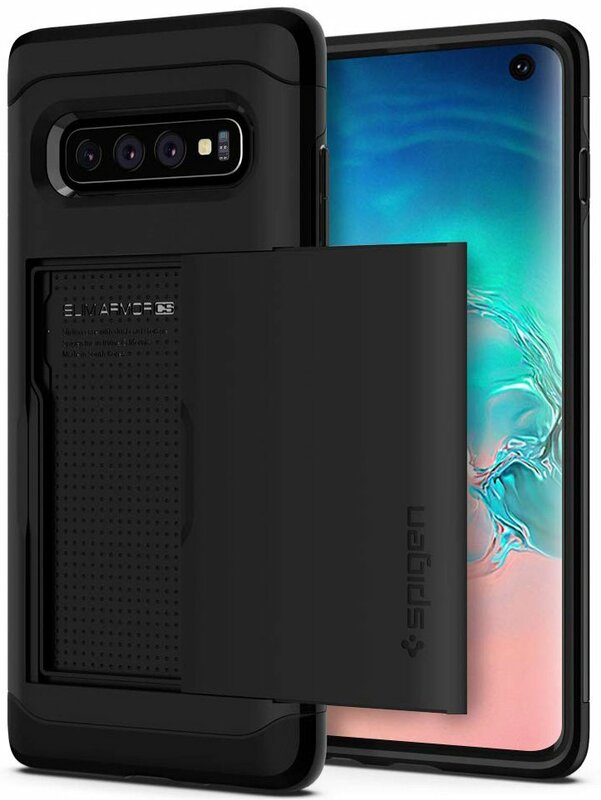 Spigen’s wallet case looks just like any other generic rugged case — except there’s a hidden card slot in the back that can hold two cards. This is a better option if you don’t really like the form factor of a folio wallet case, but still want the outstanding protection for your phone with a pocket-friendly design. Made with soft synthetic leather, this budget wallet case offers everything you’d want from a folio-wallet. You get three card slots on the inside, a pocket for cash or receipts, and a magnetic clasp to keep it all secure when closed. It’s available in three color styles for a very good price. Encased offers an interesting solution for carrying your most important cards on your phone. 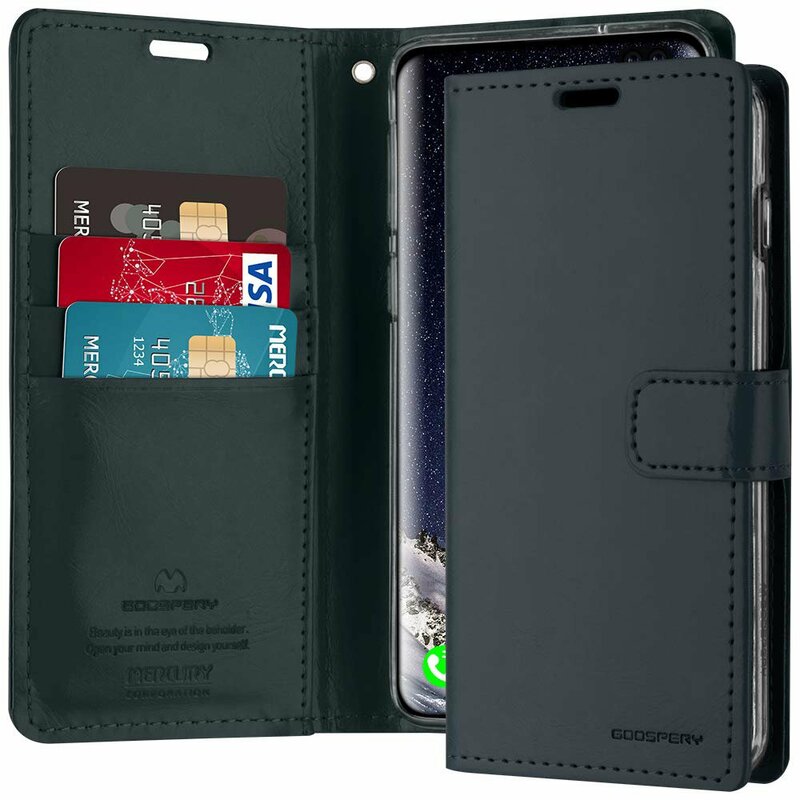 From the front, it’s a pretty standard phone case that offers dual-layered protection, but on the back, you get a built-in card holder that gives you quick access to your cards. There are a lot of different types of wallet cases. With something like the Case-Mate Folio Wallet, you get an all-in-one solution that looks great, but then there are also sly options like the Spigen Slim Armor CS that really don’t look like a wallet case at all. Samsung’s LED Cover Wallet is another great option especially if you’re buying your phone through Samsung’s website already.